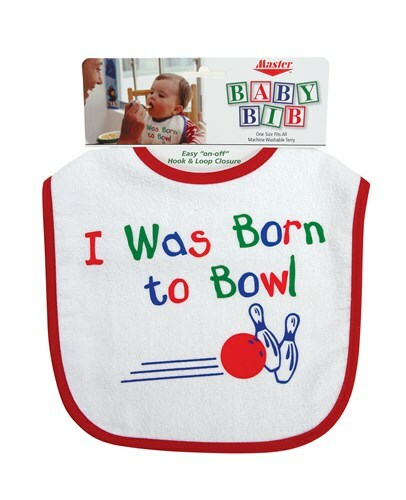 For those misses and gutter balls during feeding time, the Master "Born to Bowl" Bib is there to catch those little dribbles. Share your favorite hobby with your little one from the very beginning with the Master Bib! Due to the time it takes to produce the Master Born to Bowl Bib ball it will ship in immediately. We cannot ship this ball outside the United States.